The U-17 team of Bechem United have been drawn in Group D alongside Solar South 02B Adames, TSF Academy and FC Golden State for their maiden appearance in the 2019 Dr Pepper Dallas Cup. Bechem will play Solar South on Sunday, April 14, engage TSF Academy on Monday, April 15 before facing FC Golden State in their final group game on Wednesday, April 17 according to the fixtures released by the organisers. All their Boys U-17 games have been scheduled for the Richland College. The team is currently camped at Aburi where they are finalising preparations ahead of their departure on April 10 to Dallas, Texas. According to the Manager of the team, Freddie Etsiakoh, his charges have been in camp since January and will live up to their tag as dark horses to win the competition. "We had to look inwards towards ourselves because of a lack of competitive football on the local scene. We started this process a long time ago and we have had our camp in Aburi since January," Mr Etsiakoh told the Daily Graphic in an interview. "We have daily training sessions and we also engage local U-17 teams in friendly matches just to be ready for whatever challenge we face during the competition". 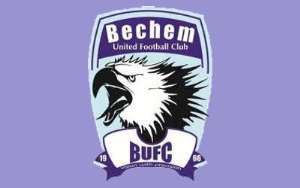 He further disclosed that Bechem will be presenting a delegation of 20 individuals, comprised of 16 footballers aged under 17 years and four officials. The Dr Pepper Dallas Cup is the oldest international youth soccer tournament in the United States which is contested by the best youth sides in the world.